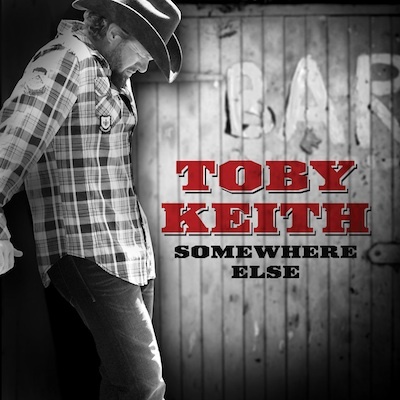 “Somewhere Else” has a groove that is very similar to “Trailerhood”, the lead single from the set that features both songs. The slightly meatier content of this one likely gives it a longer shelf life. Keith does breakup about as good as anybody, and he sounds great, as always. I don’t think the guy is capable of turning in a weak vocal performance. It’s not his best song, but it’s as good as any of his typical radio filler. He’s way overdue for another career record, but this will do for now. I like the fast-talking melody on this tune. Catchy! This is much better than most of his recent stuff – something a little different that’ll maybe spark some interest into his career again. I’ve personally given up on him…one too many moments of lyrical weakness mixed with his off-putting attitude. While not even near his best work, this is far from his worst. He’s proven lately he couldn’t do much worse (“Every Dog Has It’s Day,” “She’s A Hottie,” and “Bullets In The Gun”) and this is far from that. I guess I’m in the minority when I say that I don’t like this song, and Toby needs to do something to recover his falling career. Lately, his music has been extremely subpar, in my opinion. Toby Keith does Jason Mraz? Well, it’s not a life-changing song, but I think this will do very well on radio. It’s pretty nice sounding, and I’d certainly prefer it over the latest Steel Magnolia or Thompson Square on my way to work in the morning. Definitely agree with the “He’s way overdue for another career record, but this will do for now”, though. This kind of feels like the lighthearted song you’d release after a knockout like “My List” or “American Soldier” rather than after a string of novelty singles, but it’s nice enough.